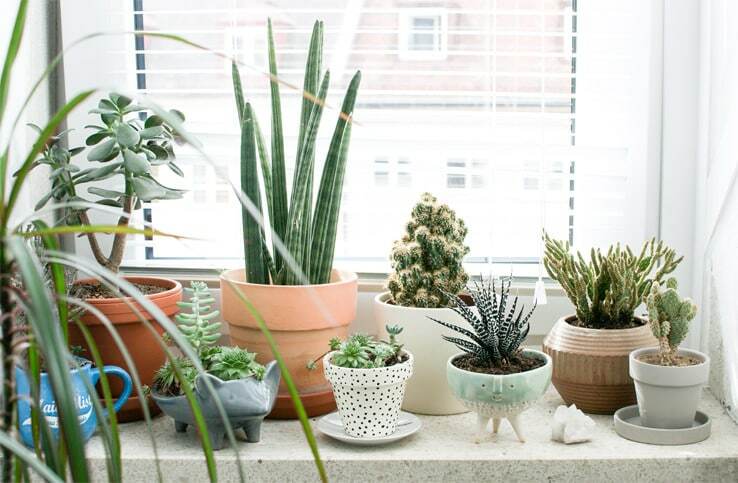 Learn how to take care of indoor plants in winter in this article. 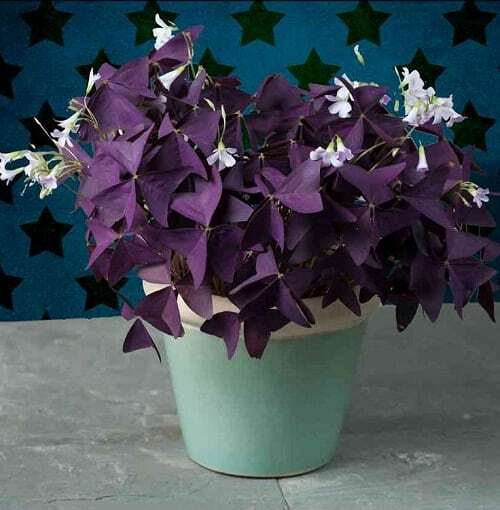 Also, read about winter houseplants you can grow indoors when the temperature comes down. Inspect your plants for pests on the foliage and in the soil. Treat any pests before you move the plants inside. A good shower with a garden hose is often sufficient. 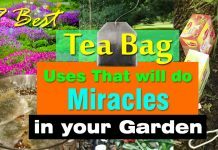 Prune back any excess growth. This will help your plants fit into smaller indoor spaces and acclimate to the lower indoor light levels. In anticipation of reduced growth, stop fertilizing and resist the urge to repot. In the fall you are acclimating your plants to lower light. Try to acclimate them gradually, as you did in the spring. Move plants from light shade to deeper shade for a few weeks before taking them inside. Plants exposed to the more light outside will develop leaves that are adapted to that amount of light. When they are brought inside, they have a harder time adjusting to the lower light than leaves that were grown in lower light. Just as there is greater improvement in plants that are put outside in spring, there is a greater decline when they are brought back in. Expect a gradual change, but not immediate decline in your plants after they are moved back inside: Growth will slow down, some leaves will fall or become yellow, the soil will take much longer time to dry out. But remember they (plants) are not going dormant. Your plants are simply responding to the change in environment, particularly the reduction in light and change in temperature. Although this may be a good time to prune, it is not a time to repot or fertilize. This acclimatization process will continue through the winter months while the daylight hours are short. When the days lengthen significantly in the spring, your plants will once again start to grow more vigorously. 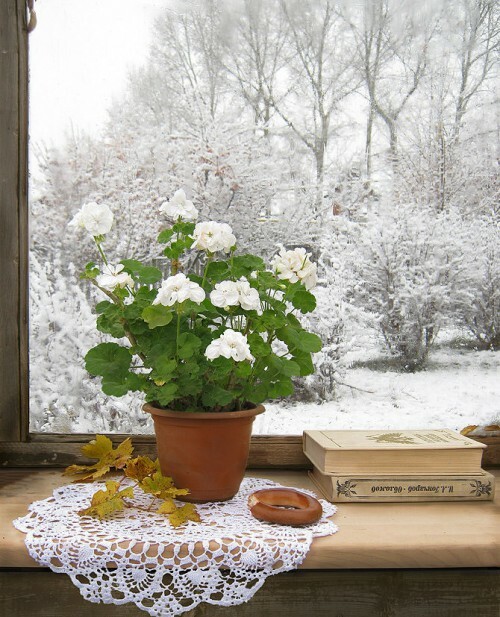 Potted geraniums are excellent indoor plants and will flower continuously if grown in enough light in the home. Early fall is the time when some flowering plants require special attention. Amaryllis bulbs require complete neglect, beginning in September and lasting for about 8 weeks. Christmas cacti prefer the shorter days and cooler outdoor temperatures down to 40 degrees. This will help them set flower buds in the holiday season. Poinsettias also must have 12 hours of complete darkness and temperatures in the range of low 60’s every night to produce their beautiful red, white and pink bracts. Below is the list of plants that can withstand temperatures down to 40 F., except where noted in parentheses. 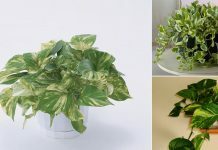 These are the plants that can be left outside a bit longer than most other houseplants that may be damaged below 55-60 degrees F. The plants listed here can often be used in the cooler, unheated spaces indoors or in drafty locations. 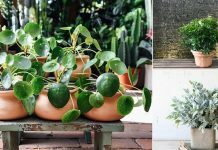 Will Creed is a professional interior landscaper with over 30 years of experience in caring and growing houseplants in homes and offices in Manhattan, NYC. He offers indoor plant services in NYC. So if I have some questions for this guy or anyone person would I message here? Or would they email me? We just bought a condo and got some house plants from other people and right now they are great but we live in Alaska so come winter I might have much more questions.